Telltale Games have released two "seasons" of their popular choose an adventure style games based on The Walking Dead graphic novels. With unique story telling, great characters, and great stories, the games have been well received by games across the world. 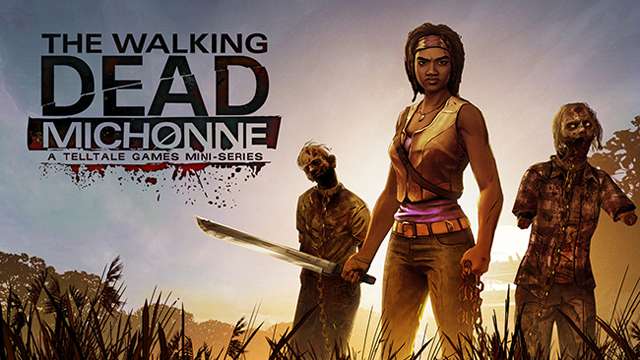 Now Telltale is bringing us a mini-series based on the popular character of Michonne. The Walking Dead: Michonne - A Telltale Games Mini-Series will be available later this year on all systems and take place in between issues #126 and #139 of The Walking Dead comics in which Michonne had left Rick's group as the 3 episode series explores her journey from leaving to returning to the group. The mini-series will also tie directly in with Episode 1 of Season 2 of Telltale's game series. Look for The Walking Dead: Michonne later this year.